One of Italy's most fashionable cities also holds several historic and artistic attractions, including the largest Gothic cathedral in the world, the Last Supper painting, and the famous La Scala Opera House. Fashion and finance aside, Milan is also well-known for, of course, football. 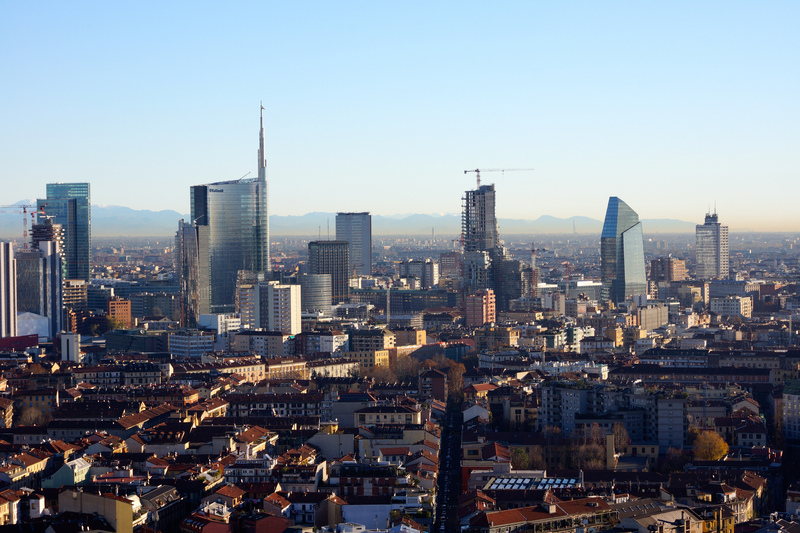 The city is home to both AC Milan and Inter, two of Italy’s top teams. By night there’s a fabulous aperitivi scene. 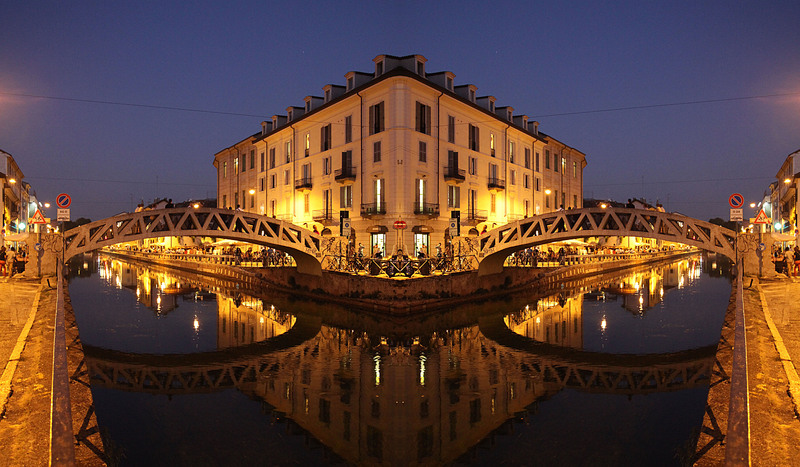 Take a walk past Porta Ticinese to the glowing canals and waterside bars and cafés of the Navigli neighborhood. Designed in part by Leonardo, the narrow canals were neglected for decades, but recent preservation efforts have spurred the area’s emergence as one of the city’s hottest night-life destinations. 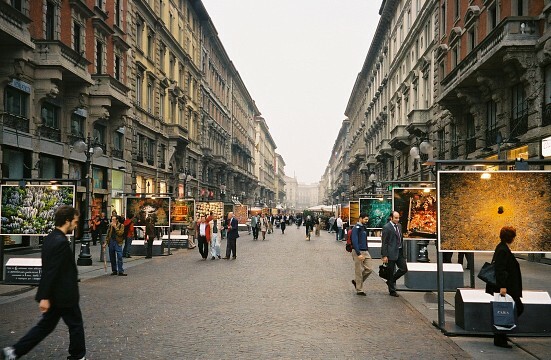 So, if you want to shop 'til you drop, enjoy some cultural masterpieces and nosh on Italian treats from coffee and gelato to sparkling wines and risottos, Milan is the place for you. The best times to visit Milan are April to May or late September to October. The spring and fall months straddle the city's manic peak season, and they also escape the summer's scalding temperatures. 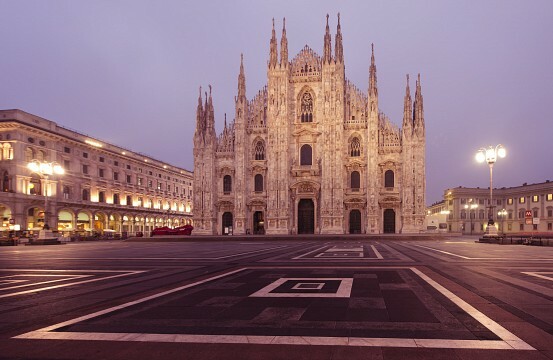 The Milan Cathedral is the world's largest Gothic cathedral and the third-largest church in Europe. Its pearly white facade, adorned with 135 spires and 3,200 statues, wowing the crowds with extravagant detail. Make sure you climb the stairs or take the elevator - the most spectacular view is through the innumerable marble spires and pinnacles that adorn the rooftop. 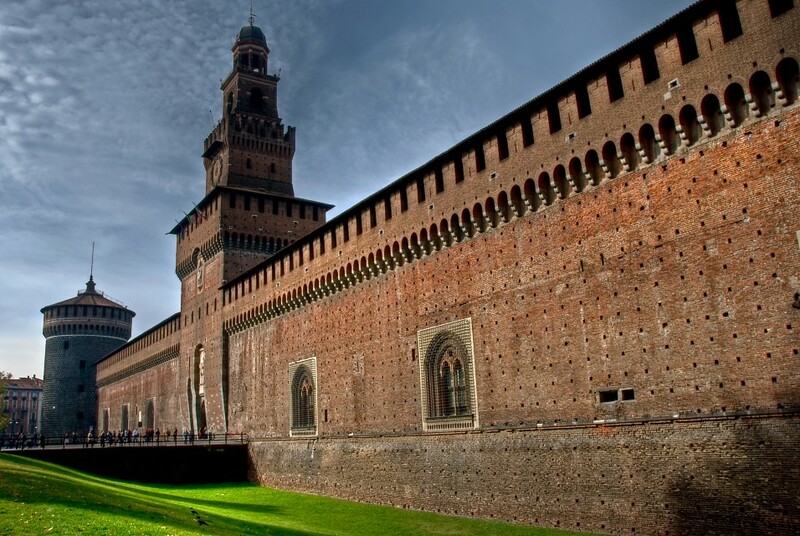 After the Duomo, the Castello Sforzesco is one of the Milan's main attractions. Once home to the noble Visconti family, the castle today houses seven specialized museums, which gather together intriguing fragments of Milan’s cultural and civic history, including Michelangelo’s final work, the Rondanini Pietà. A single ticket, purchased in the office in an inner courtyard, admits visitors to these separate installations, which are dispersed around the castle's two immense courtyards. 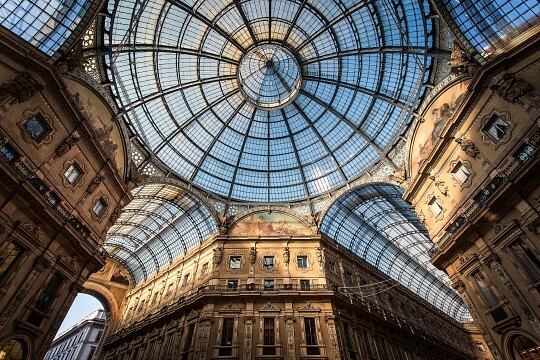 It is much more than a shopping arcade, the Neoclassical Galleria Vittorio Emanuele II is the world’s most elegant covered arcade and the midday city's heart. Designed by Giuseppe Mengoni and opened in 1878, the gallery has an enormous triumphal entry arch leading onto four “arms”, lined with glamorous stores, cafés and bars. Be sure to follow tradition and spin your heels once or twice on the more "delicate" parts of the bull beneath your feet in the northern apse; the Milanese believe it brings good luck. The gallery houses Milan’s most impressive collection of old masters, much of the bounty ‘lifted’ from Venice by Napoleon. Rembrandt, Goya, and van Dyck all have a place in the collection, but the pieces that are really worth seeing are the Italians: Titian, glorious Veronese, groundbreaking Mantegna, the Bellini brothers and a Caravaggio. Behind the museum, the Orto Botanico di Brera is a lovely spot to relax, and there are plenty of exhibition spaces, boutiques and cool bars to visit in the area. Created during the period 1495-98, Leonardo da Vinci's mural painting known as The Last Supper, a masterpiece of the Italian High Renaissance and one of the best-known works of Christian art. The famous wall painting covers the wall of the refectory next to the Church of Santa Maria delle Grazie , on the western outskirts of central Milan. You need to book anything, from a week to a couple of months ahead, or take a somewhat pricey city tour to see it. Tickets can be purchased three months in advance. Once in, you get just 15 minutes’ viewing time. Navigli is one of the most romantic neighborhoods in Milan. 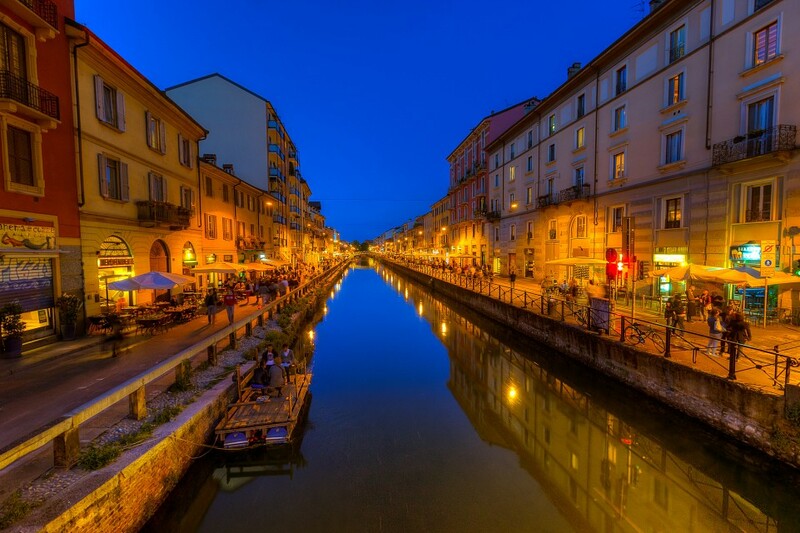 Located south-west of the Duomo and the city center you will find the atmospheric streets of the Navigli quarter, which borders the Ticinese canal district. Late-night bars, quirky art galleries and narrow streets appeal to many visitors when deciding where to stay in the city. The most interesting of the three remaining canals is the Naviglio Grande, where you'll find iron pedestrian bridges, a small church of Santa Maria delle Grazie al Naviglio, and the picturesque Vicolo dei Lavandi. Crowds clock to Saturday's Fiera di Senigallia - an open flea market. The largest science museum in the country is a great place for the whole family and offers a fascinating look at a number of important scientific and technological innovations throughout the centuries. The layout of the museum is a little confusing and as the place is so big; pick up a museum brochure, so you don't miss the highlights. These include a clutch of Leonardo's anatomical drawings, designs for flying machines on the top floor and a display of 20th-century technology. The Air and the Water building has lots of full-size airplanes and boats to explore; there's railway track full of locomotives and interactive labs for kids to play around with some basic experiments. Gian Giancomo Poldi Pezzoli, the founder of this amazing house museum, came from one of Milan's oldest and well-endowed families. This illustrious museum, opened in 1881, was once a private residence and collection and contains not only pedigreed paintings but also jewelry, glass-work, porcelain, textiles, and a cabinet with scenes from Dante's life. The gem is undoubtedly the Portrait of Lady by Antonio Pollaiuolo (1431-98), one of the city's most prized treasures and the source of the museum's logo. If you are an opera or theater fan, this is the perfect Milan sight for you. Located only an easy walk from the Duomo, through the Galleria Vittorio Emanuele II and on to La Scala. Milan's famous opera house was first opened in 1778. Here some of the world's best singers and orchestras can be heard and famous ballets seen. You can visit the La Scala Museum, that houses a fascinating collection of costumes, musical instruments, and portraits. You can also visit the La Scala Theater and see its beautiful auditorium, stage, and pit orchestra from the boxes. The city is a fashion lover's paradise so you will easily find top quality clothing, footwear, and accessories. Milan's finest boutiques fit into one square, bordered by via della Spiga, via Manzoni, via Sant'Andrea, and via Montenapoleone - the Quadrilatero d'Oro (Rectangle of Gold). Designer-named stores include Armani, Chanel, Missoni, Prada, and Versace. Boutiques stocking emerging labels, and chic concept shops also line the city’s streets, while discount outlets selling samples. Many shops are even open on Sunday on Corso Buenos Aires and Via Dante . Markets are held around the canals. Milan offers a dish for every taste, budget, and time of day, from fancy restaurants to pizzerias and bars with great selection of aperitivo-time tapas. Just avoid the restaurants along Via Dante or indeed any place that has a menu showing photos of the dishes and you can not choose wrong. Aperitivo hour starts around 6.30 p0 feet Around that time a tapas-like spread of olives, cold pasta, rice and green salads, salamis, and breads makes it appearance in every bar in the city. 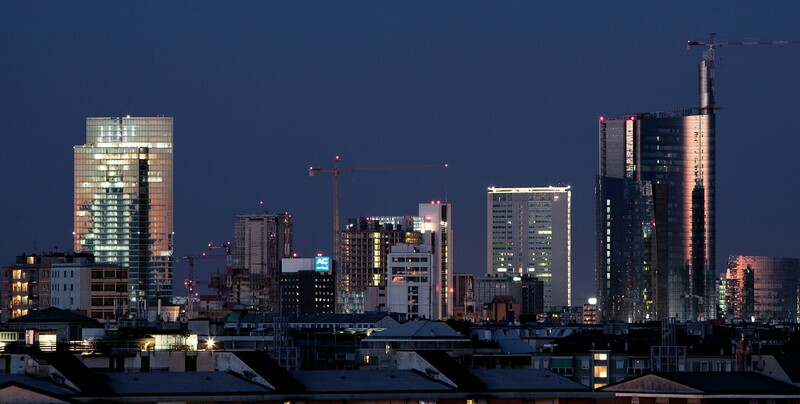 Two of the most famous traditional Milanese dishes are risotto alla milanese (a rice dish made with saffron) and cotoletta alla milanese (breaded veal) while the budget-friendly aperitivo is perfect for experiencing not only Milan’s food and wine, but buzzing nightlife too. Swing by Il Gelato Centogusti at Piazzale Lagosta for a sweet treat to tide you over. This spacious gelateria has 100 ice cream flavors to choose from. Sleeping in Milan can be pricey. If you are visiting for pure leisure it is important to avoid the frequent big trade fairs like Fashion Week when the hotel prices are at the maximum and rooms in the best places to stay in Milan may be booked months in advance. As the city is a commercial center, prices are often higher during the week than on the weekend. Outside the slack summer period, booking in advance is essential. There is a countless number of hotels of different classes in Milan, from very cheap to sky-expensive ones. 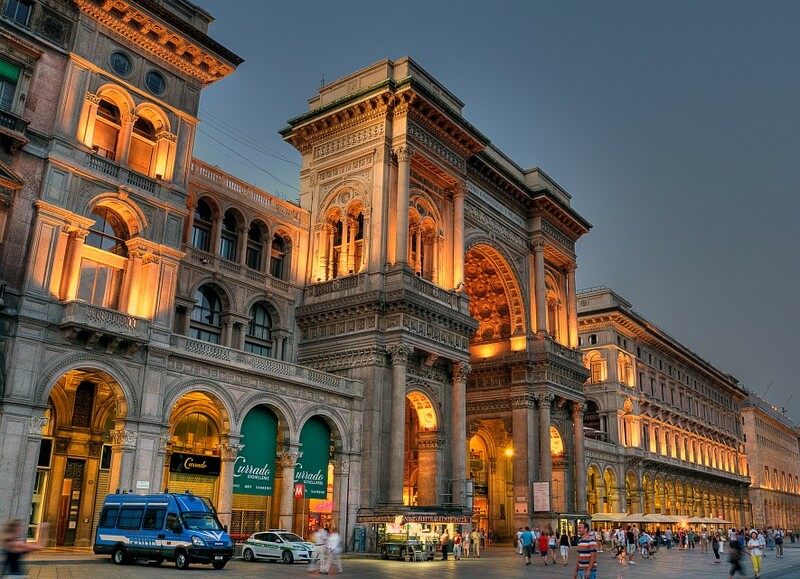 Located in the different districts of the city, Milan hotels are designed for a whole variety of tourists. Shoppers like to stay in the Brera and Magenta neighborhoods, sightseers near the Duomo and the budgeters can find the best options near the Milan Central Station and along Corso Buenos Aires. The best way to get around the city is by the efficient public transportation system called the ATM. This system of subway, buses, and trams is far-reaching and quite cheap. Keep in mind while riding the bus or tram, be sure to stamp your ticket as you board. 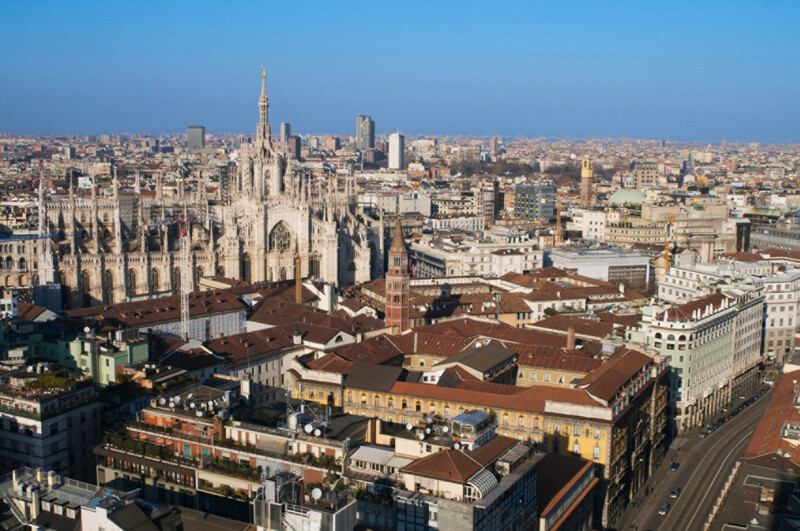 Milan is a big city, but don't be afraid do discover it on foot too. Walking along its streets and passing through the numerous squares, you'll get the feel of this fascinating city. Milan is relatively safe, but pickpockets (including young children) prey on its main shopping areas, train stations and busiest public transport routes. Pay extra attention on metro Line 3 between the Stazione Centrale and Duomo stops. In the center of the city, it is not unusual for visitors to be approached by people offering bird-feed or useless trinkets for free. However, once you take whatever it is, they will follow you asking for money, becoming ever more persistent and sometimes aggressive until you give them some. Do not accept any "gifts" and be particularly careful in the area around the Milan Central Station at night. Keep an eye on your belongings at all times.